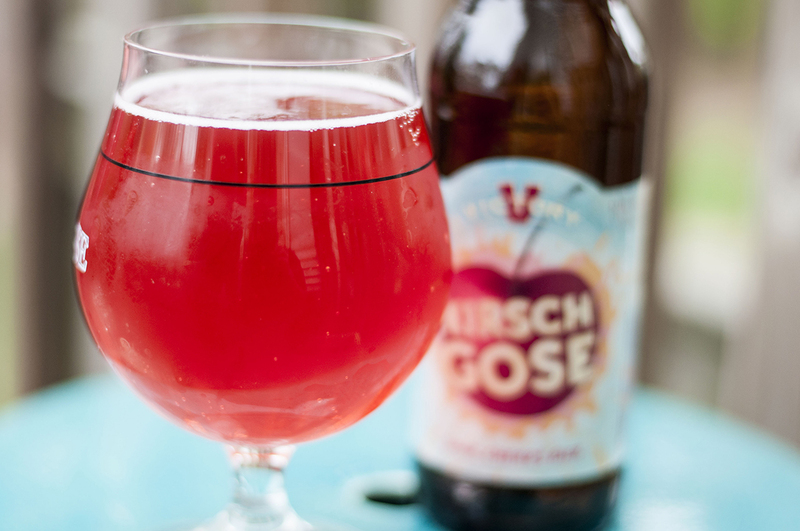 Pop Goes The Craft Beer Cherry! 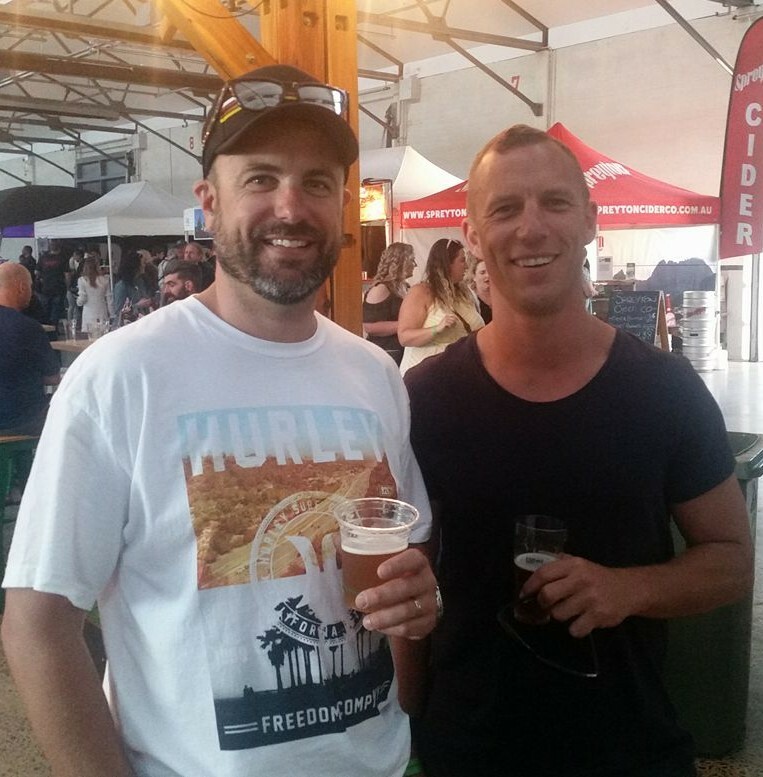 So recently I grabbed my mate Ben and took him down to a local beer festival. He is your typical mainstream beer drinker, never too keen to venture too far from a light tasting beer in a clear bottle…even picking up those ones with added lime on occasion! Anyway, he is totally not interested in craft beer, so when he asked if he could come along with me I was surprised, but also recognised it as a chance to convert him to craft beer. As you would expect, there were no clear bottles of flavourless beer at the festival, just good pure craft beer…including many local brews. As we walked in, I told him that I was going to pop his craft beer cherry and introduce him to the idea of gateway craft beers. So, during the evening I took him to meet the brewers and sales staff at half a dozen or more brewery stalls, with each one of them presenting to him their most approachable beer in their stable and talking him through how it was made, what the ingredients were, and what they were trying to achieve with the brew. Ben slowly drank his way through those beers and by the end of the night, even tried his first IPA! At the end of the night (you can check out the video above) Ben was quite impressed with what craft beer had to offer…in particular, the close knit community that he had witnessed, and the knowledge and passion of the people within it. He actually said to me “I liked every single beer that I tried tonight”. This got me thinking…apart from being pretty bloody happy with myself for converting a new drinker to craft beer, I was actually thinking about the power of the personal recommendation being the key driver for converting new beer drinkers into the market, and wanting to do it again and again with other friends. Now I know that the power of a personal recommendation, whether that be from a bar tender or a friend, is nothing new to marketers, and still one of the strongest forms of conversion. But, I was thinking, how can the craft beer industry do this on a more efficient basis? I mean, 1:1 is very effective but we aren’t about to convert the masses any time soon at that pace. I know beer festivals are great, but you can’t necessarily give each consumer that 1:1 personal attention for the whole night. 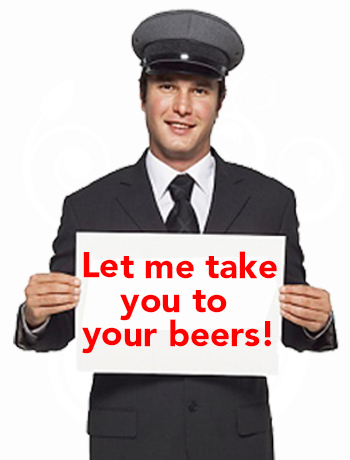 My solution, let’s form an army of craft beer “cherry poppers” and provide a chauffeur service at beer festivals! Think about it…it’s like an extended master class for entry level drinkers who are craft-curious. What better way to invite them into the immersive culture of craft beer than to immerse them in it by having someone take them around and introduce them to the brewers, steer them in the right direction towards the beers that will ease them into the industry. 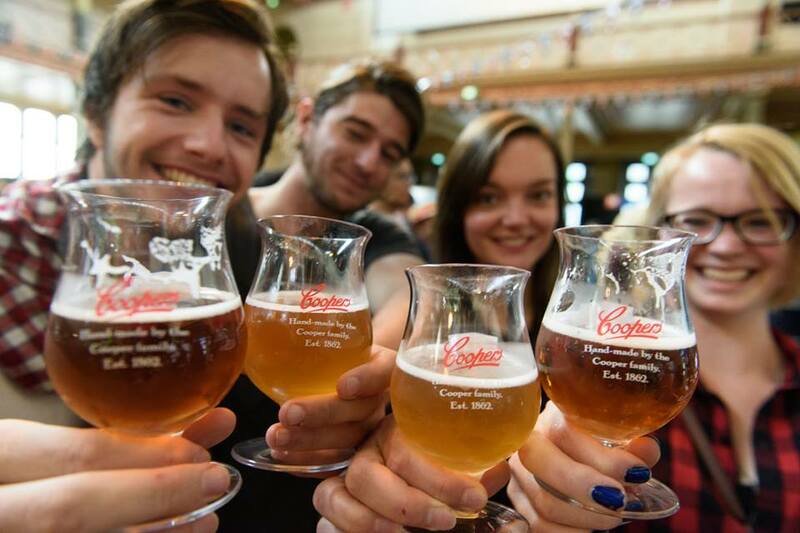 Beer festivals can be a little daunting for some, with so many brewers on hand, weird terminology to decipher, and a multitude of beer styles to navigate through. It’s not as silly as it sounds to provide the new drinkers with some assistance to make sure they don’t destroy their palate on their first beer by slamming down a double IPA, not liking it, and then not being able to taste any other beers for the rest of the night. That’s it, I wanna be a beer chauffeur when I grow up! But would it work? I guarantee I would convert drinkers on every Beer Festival tour group I took around, but would it actually work for the breweries? I mean, would they have the money to invest in such a program and is it too inefficient to make a difference? Does it need to be efficient? Is it just my old big-beer marketing ideas kicking back into gear, where everything it tracked back to a return on investment? I understand that in the big beer world of shareholders and big budgets, but do the smaller craft beer breweries need to worry about that? I mean, isn’t that what craft beer is all about? Our brewing is less efficient that the mainstream, our industry is all about experiences and relationships, and we are okay with allowing it to organically grow, under the premise that eventually quality will come out on top. So are we okay with putting in a bit more effort to recruit drinkers to convert them to craft beer? Maybe we are already doing it? Last question…who has the cash to float me for the start up costs to get “Beer Healer Cherry Poppers” up and running…catchy, hey! By the way, I have been cranking out a heap of video content over on my Facebook page of late…if you are interested, head on over. I’m getting near 1,000 followers now, so if you know someone who loves craft beer, please share my page details with them! Who was leading whom, both easily led and both obviously enjoyed the night.